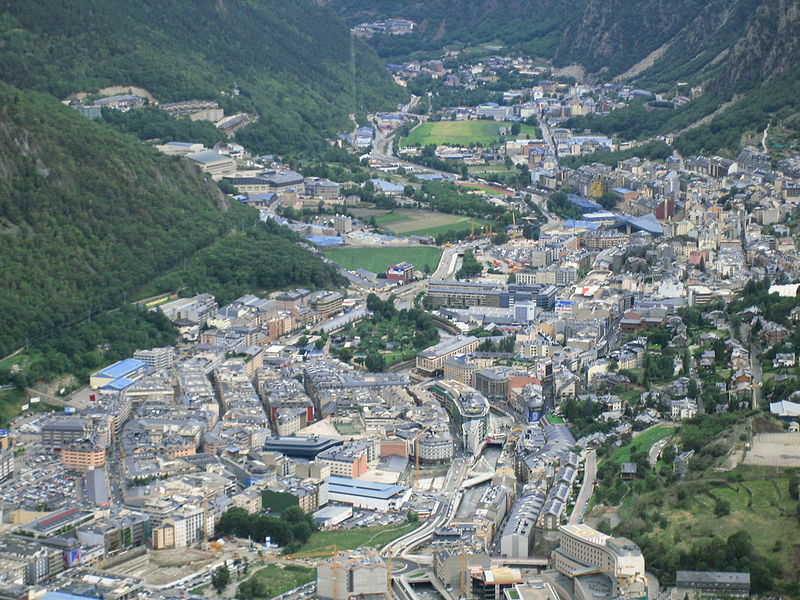 Andorra has some wonderful hotels and one of the great aspects of them is location. Of course, in a country so small it would be hard to be a long way from something of interest, but there is no doubt the Hotel Plaza is in a truly wonderful place. For shopaholics, there could be no better spot. It is located right in the heart of Andorra La Vella’s main shopping area. For those who love to get in lots of retail therapy, this will be a perfect place to stay, with hundreds of stores to visit for bargains, those hard-to-find accessories or just some window shopping, all interspersed with a few stops for coffee and great food. Of course, by the end of a long day in the shops guests will be a little tired, but because the Plaza is right in the heart of the shopping centre, there will not be far to walk to get back inside. As soon as guests have dropped off their shopping back in their rooms, they can choose to relax in a wide variety of ways. The most notable of these is the magnificent spa and wellness area. A wide range of treatments are available, such as aromatherapy, a facial scrub, a wax, a pedicure or a full detox. In addition, there is a fitness centre for those who want to tone up a bit and a water circuit to offer a bit of hydrotherapy. With a range of different treatments and ingredients designed to promote a sense of peace and well being, all that effort in the shops will soon drift away as you feel revived and refreshed. The hotel also comes equipped with spacious and airy rooms, with pastel shades, wooden floors and large windows to let in lots of light. There is a choice of double standard, deluxe and deluxe with hydromassage bathtubs. Each of these is designed to provide the perfect environment to relax at the end of the day, setting you up perfectly for all tomorrow’s fun.